Reading Material – Have you seen Brain, Child magazine? I got my sample issue in the mail a few days ago and can hardly put it down. Cleaning Product – I know I’ve heard of Dr. Bronner’s for years, but I am finally getting around to trying it, and now I’m obsessed. It cleans EVERYTHING in your house from laundry to floors to the kitchen sink. It’s effective, too. Good stuff! Blog Post – This super simple post from Small Notebook is the reminder I need sometimes when I lose motivation on the mundane chores that often fill my days as a SAHM. Craft – I spent time with my niece this week as she stayed with us all day Tuesday and played with Jude. I got to test the waters with two kids, and we did our own take on this craft while little Jude was napping. 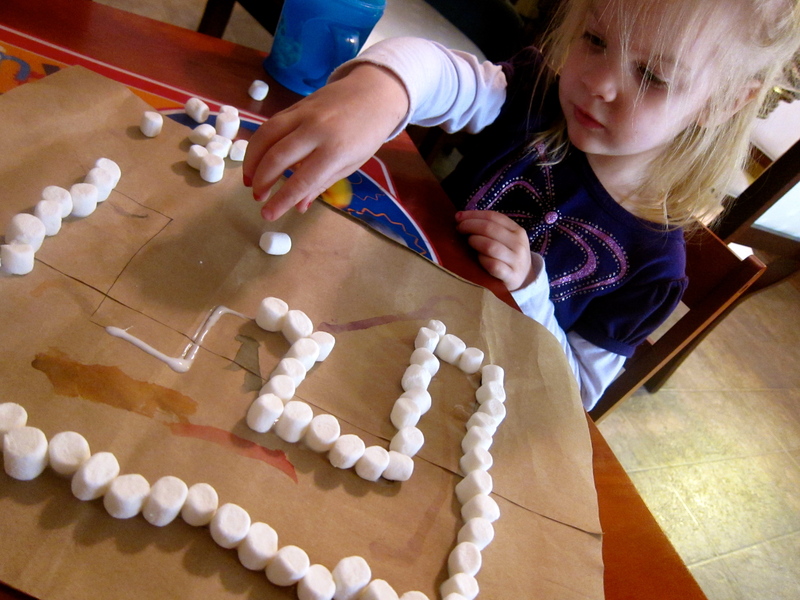 We made a letter “E” for her name, and our rule was that she had to glue and count ten marshmallows before she could eat one. It was a great exercise for working on patience, fine motor skills, and phonics as we talked about lots of other “e” words while we worked on it. Recipe – This version of Chicken Divan is so much more than a casserole. Scott calls it magic,and I totally agree. It gets rave reviews every time I make it, and I’d kind of forgotten about it until I made it again this week. I do the long version by making my own soup and it’s worth the extra effort. 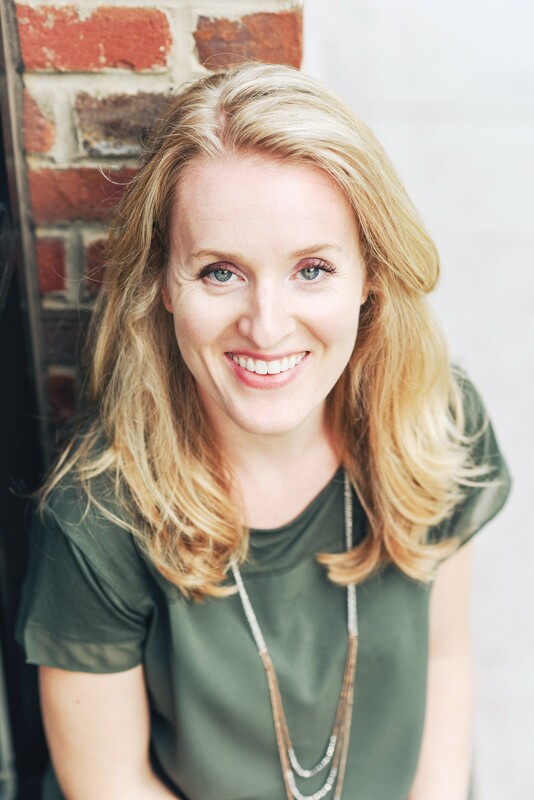 Giveaway – My own! Don’t forget to answer my simple question by Friday at noon and have a chance at winning. You regular commenters aren’t commenting on this one yet, but I like seeing new folks, too. Awesome Perk for Atlanta People – Have you checked out Nature’s Garden Delivered? I’m getting fresh produce delivered to my door, and it is seriously yummy. No fee to start or to temporarily hold or cancel for vacation or your own summer garden. It’s awesome. And my current favorite photo? Jude feeding the goats at my Grandparents’ place. It’s like Disneyland for him.